Meet the Staff of Persichetti Motorsports Inc.
John has been is the automobile business for over 20 years and established his company 14 years ago. John is married with 2 children and is a very devoted husband and father. He enjoys playing golf and giving his employees a hard time ( joking manner ). Eileen manages our office, procures financing for our customers and controls business accounting for 2 dealers. 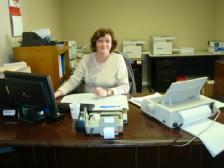 She handles all the paperwork that goes with buying & selling several thousand vehicles each year!. Eileen has been married for over 25 years and loves to cook and watch soccer. 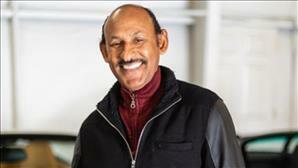 Baxter has been in automobile reconditioning for over 30 years, he has experience of painting, buffing, wet sanding, polishing and interior. 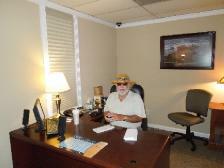 Baxter is married with a son and daughter, he loves the beach and was born in the Dominican Republic. Baxter is very versatile, from being able to recondition our cars to great customer service when needed. He is a true asset to our company. Avid car enthusiast, Eric is here to do do whatever's needed to make sure your satisfied with your buying experience before, during, and after the sale. He enjoys vacations to Costa Rica with his wife Candice, Striper fishing, and pretty much anything with an engine. 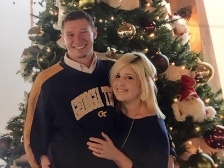 Although he's the newest member to the team, his helpful and friendly personality keep up with the Persichetti tradition our faithful customers are accustomed too. Charlie has retired from the automobile industry and works for us 4 days a week. We rely on Charlie for so many things , picking up customers at airport, picking up parts, taking John all over Atlanta, driving cars, gassing cars, etc.. Charlie loves to brew his own beer and have lunch at Taco Mac in his spare time.